Arriving at our hostel I was filled with a mixture of excitement and apprehension. We pulled up to a block of run down buildings, with cracks in the walls and paint peeling off everywhere. There was a tiny sign saying SUNPATH TOUR & HOSTEL and we knew we had made it. There was a lady waiting outside called Doljmaa, the owner of the hostel, who gave us the door code and showed us upstairs. Well what can I say, don’t judge a book by its cover. Inside was a lovely, homely hostel with great staff and comfortable beds, what more do you need? We were shown around and then settled into our room to freshen up as we had already been awake for 24 hours. However it was only 9am so to beat the jet-lag we forced ourselves to stay awake and set out to explore the city in the blazing sunshine, after checking my sugar levels and making sure my diabetes was all up to scratch of course. As we were leaving the hostel for the first time we realised we didn’t bring a map, I even forgot to pack the guidebook I was so sure I would remember. Oh well, let’s go out and get lost! We found out later when we eventually got a map that you cannot trust them. Nothing is ever where you think it is in this city. There are buildings tucked behind buildings tucked behind more buildings tucked behind more buildings and each building has about 92 different uses, it’s all part of the fun though! We walked down the main road towards the city center, visiting Chinggis square, Parliament House and the Chinggis Kahn statue. It was getting near to 1pm and we decided it was probably best to get some food, I was needing some carbohydrate to keep my body working. We went into a restaurant/pub and asked for the menu. There was one page with pictures and everything else was in Mongolian, that was no good, we forgot the phrasebook as well! We pointed to something that we thought looked like sweet and sour chicken and 10 minutes and a beer later it rocked up. It pretty much was sweet and sour chicken, just with bits of the chicken you really do not want to eat! Waste not want not I suppose. Anyway there was a bowl of rice and the sauce with grated carrot and peppers was nice so it wasn’t a total waste of money! We got back to the hostel around 4pm and at this point we’d been up god knows how long, we spoke to Doljmaa, booked a 12 day tour and settled down to go to sleep. At this point I hadn’t done my Lantus slow acting insulin and it wasn’t due for another 4 hours. However I had to sleep and as I was so tired I jabbed myself with the full amount of insulin without even thinking. I hadn’t eaten much for the past 30 hours and I was doing it early. Come 2am my body woke me up, I checked my sugar level and it was 2.7. Not a great start. I threw some dextrose tablets down my throat, ate a cereal bar then went back to bed. The next couple of nights I’ve reduced my Lantus by 4 units as I’m eating less then I do at home and haven’t had an issue since. On day 2 we woke up to the heaviest rain I have seen in a very long time but did not let this stop us. After tucking in to the free breakfast at the hostel, toast and coffee, we went out once more to get our bearings. Now armed with a map things were only slightly easier. We had to pick up our train tickets to China, locate the hostels we are staying in in the future and find the train station, just to make things easier in a couple of weeks time. Something handy to note is to take a spare polly pocket with you to tuck your map in when its raining, still being able to map read whilst keeping it dry, no one likes a soggy map! For lunch we decided to save money and get some packet noodles to eat at the hostel, they were actually really nice. However the nutritional information on the back was all in Russian so I couldn’t work out how much insulin to take in relation to the amount of carbohydrate I had consumed. I found a Russian translator on my phone, translated the word carbohydrate and from that was able to work out how much insulin I needed to take. That evening we went for dinner in a cool bar down the road from the hostel. I think it was trying to be German as the guy serving us was wearing lederhosens and they served 8 pint pitchers of beer. Day 3 started off equally as wet but we still powered on. We visited the Mongolian Museum of Dinosaurs which was pretty cool and then the Mongolian Museum of History. This covered everything from the bronze age to modern day Mongolia, including their traditional dress and how they campaigned to come out of communism. There was also a large section on Chinggis Kahn which was very interesting. I would highly recommend visiting this museum as it gives you a greater understanding of the Mongolian culture. On the way back we dived into a bar to save ourselves from the torrential downpour. We were minding our own business when a Mongolian man came up to us and dragged us over to his table where he and his friends were celebrating. They hardly spoke a word of English. From the 2 hours we were with them I worked out that they are happy, celebrating and that the ladies son was at university in Tokyo. They were showing us pictures of their family on Facebook and took my phone to enter the WiFi password to see pictures of our families and of us graduating. They also had a bottle of vodka at the table which they insisted we had to help them finish. To be fair we didn’t have a choice, they kept on filling up our glasses, cheersing, then we would all finish the glass, and so this continued. At the end I got my Mongolian translator up on my phone and offered to pay for the vodka, they were having none of it. 20 handshakes, 30 fist bumps and a few hugs later we were on our way back to the hostel. Lovely people! The following day we ate at a vegan restaurant so Holly could eat something she could guarantee wouldn’t have a random meat in. It was actually really nice. I had a pumpkin soup and Holly had both varieties of Mongolian dumpling. I also ordered a buckthornberry juice. This was an interesting flavor but how can you tell how much sugar and carbohydrate would be in that, I’d never even heard of a buckthornberry?! However I took an educated guess, remembering how much sugar is in a glass of fresh orange back home and basically rolled with that. It all seemed to work out okay! Ulaanbaatar is a lot more westernized then I imagined and the people do not even look at you twice, even though tourism doesn’t appear to be big in the city. There are a few hostels scattered around but nothing is in English and very few people speak English. There are no signs to help you out but this all adds to the character of the city. It will be interesting to see what its like in 10 years time, however I like to think we came at the right time, before tourism gets in the way! We have a 12 day tour of the country coming up tomorrow including a 2 day horse riding trek and camel riding in the Gobi so I don’t think WiFi or electricity is going to be a thing! Fingers crossed that we have enough devices to take pictures on so we don’t miss anything. This could also be interesting for the diabetes. Pop back in 12 days time to find out how I fared and what we got up to! 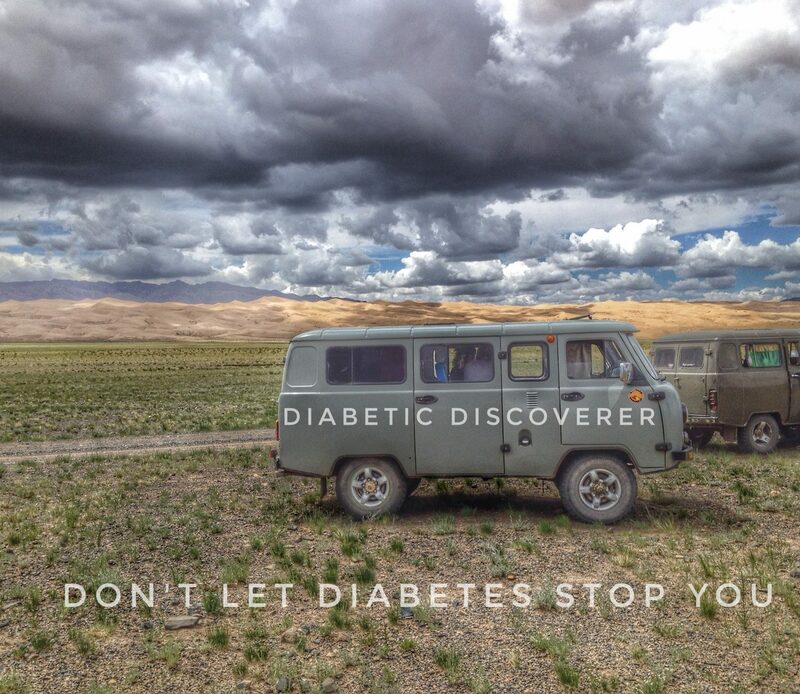 This entry was posted in Diabetes, Health, Mongolia, Travel, Ulaanbaatar. Bookmark the permalink.